It was a great experience to attend the first WWT in Norway. On the prologue, Thea was our fastest and took the Norwegian jersey. But Emilie was really unlucky as an ambulance blocked the way for her on the way back, losing precious seconds. On stage 1, Halden to Mysen, Jolien Dhoore from Wiggle won, with Emilie coming 9th, and Susanne taking the Norwegian jersey, which she kept the rest of the race. The second stage will not be easily forgotten, with the bridge in Fredrikstad opening, causing the peloton to stop with 5 km to go. Chloe Hosking (Ale Cipollini) won the following bunch sprint and we had Susanne on 13th place. 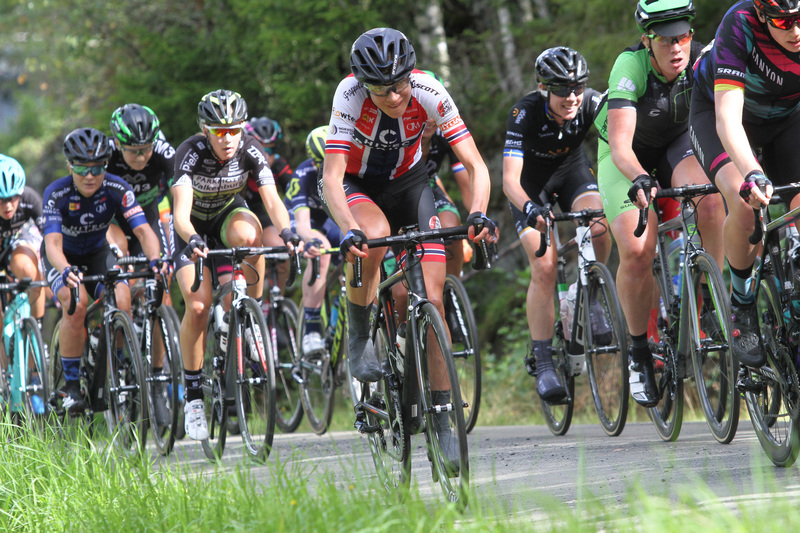 On the last 160 km long stage from Svinesund via Sweden to Halden, Susanne and Emilie couldnt follow in the crucial split that happened on the last local lap, and ended in group 2. Overall Susanne was our best on 33.place. 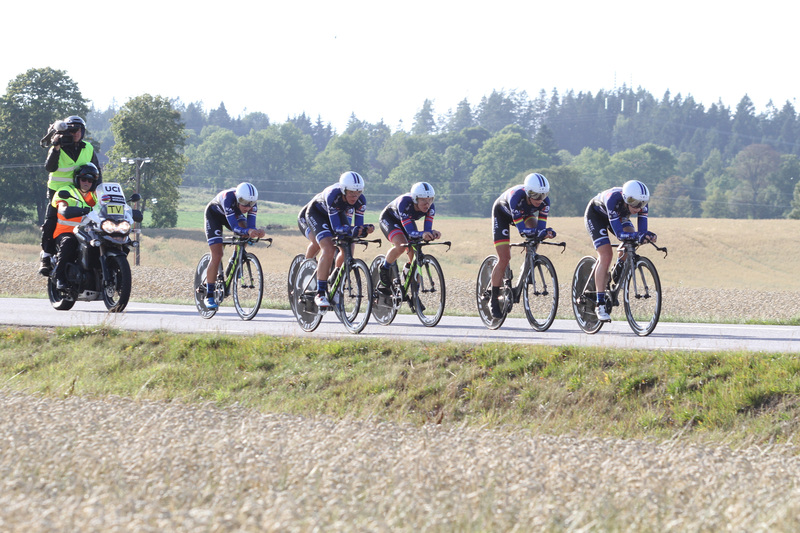 For the 8th time the team raced this diificult roadrace in Vårgårda. During the 3 first local laps nothing much happened, but Lotte had become sick and stopped early. Also Thea had a bad day and stopped right after the long lap. Out on the long lap and the gravel sections, a group of 11 riders went away, Simona was in a chase group of 3 but had to give up. Luckily some teams that missed the break, FDJ especially, with help of Bigla, reeled in the break after approx 80 km. A group of 40 riders formed on the last local laps, where we had Susanne and Nina. Nina worked for Susanne in the final, Susanne was in a good position on the last corner but lost some places there and came 12th. This was her first individual WWT points. Lotta Lepistø (Bigla), won the race. The team had only one day together to train, but still rode a very good TTT and took a surprising 9th place, Nina did a last great effort at the Hegrunga hill, and the other 5 finished in style. We participated with 3 girls in a mix team for the final of the Lotto Cycling Cup. We missed a break of 3 and Julia Soek (Team Sunweb) won the race. 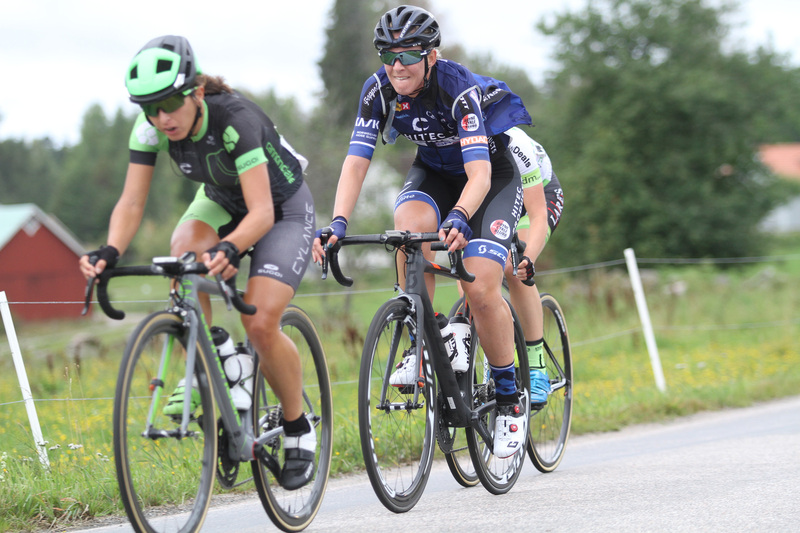 Nina was second in the bunch sprint behind Rivera and finished 5th overall. Starting with the ITT, Lotte finished 11 and Thea 26 in the 32 km long course. Elen Van Dijk of Netherlands won quite clearly. In the W U23 race, Susanne Andersen won the bunch sprint for second after a solo winner Pernille Mathiesen of Denmark. Ingvild did a good job buut punctured close to the final. 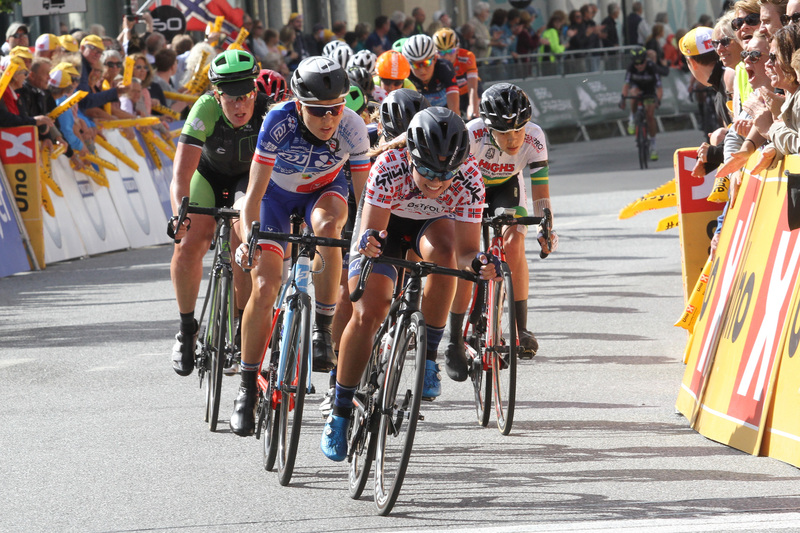 The WE road race was a thriller with Charlotte making the winning break with Vos, Pawlowska, Zabelinskaya, Longo Borghini and Bronzini. Tragic for Lotte, Pawlowska crashed just a few km from finish, disturbing Lotte enough to drop from the group. Emilie finished 15th in the sprint for 6th place, after good domestic work from Thea, also Simona did a great domestic job for Italy during the race.